ZSL looks to protect rare and threatened native birds and to improve the health of their populations. Many of the UK’s species have been in decline, and are in need of conservation attention. ZSL conservationists carry out survey work with puffins off the coast of Ireland and have been working with Natural England in the breeding and reintroduction of corncrakes. We also monitor the health of garden birds, along with a number of current and past projects. The puffin is one of the UK’s most abundant seabirds, but its populations have been in decline recently. ZSL conservationists are carrying out work with geo-locator tags in Skellig Michael, West Kerry, Ireland, to track their huge overwinter migrations across the Atlantic Ocean and provide insight into what might be causing these declines. The corncrake is the only globally threatened bird to breed regularly in the UK, and started to disappear from the English countryside more than a century ago. Since 2000, ZSL has played a key role in the breeding of corncrakes to be released into RSPB reserves. We are now trying to set up a self-sustaining population in England. ZSL scientists are studying the effects of supplementary feeding on garden bird health through the Garden Wildlife Health project. Garden birds are commonly affected by outbreaks of disease, so we also carry out research to better understand and limit the impact of these outbreaks. 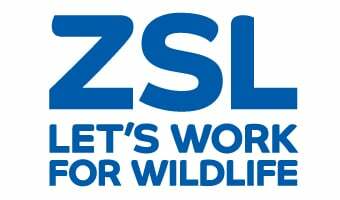 ZSL works to encourage species such as swifts, house sparrows and lapwings on our own sites at ZSL London Zoo and Whipsnade Zoo. The ZSL horticulture department monitor these bird species as part of the site biodiversity programme. Jamie Graham is the project manager of the corncrake conservation and breeding project. ZSL is working with University College Cork to monitor puffins. ZSL worked with RSPB and Natural England on corncrake breeding and reintroduction.